In this business you hear a lot of origin stories about classic cocktails, but rarely get to experience them. That is to say, you rarely get to (1) actually go to the room in which it was invented, and (2) get one that is as good if not better than it is anywhere else. 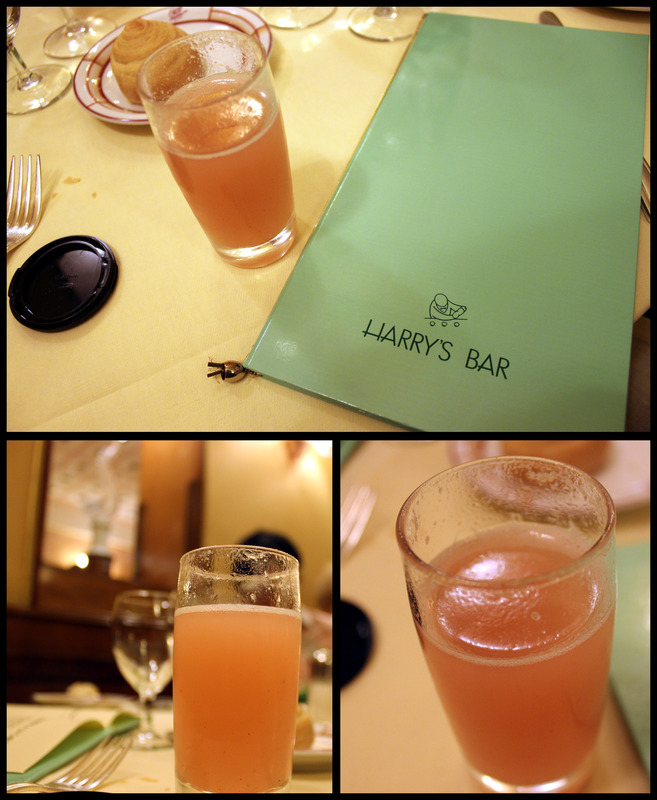 But if you’re ever lucky enough to find yourself in Venice and have that special mixture of historical reverence and financial irreverence, well, then you get to go to Harry’s Bar and drink a Bellini. 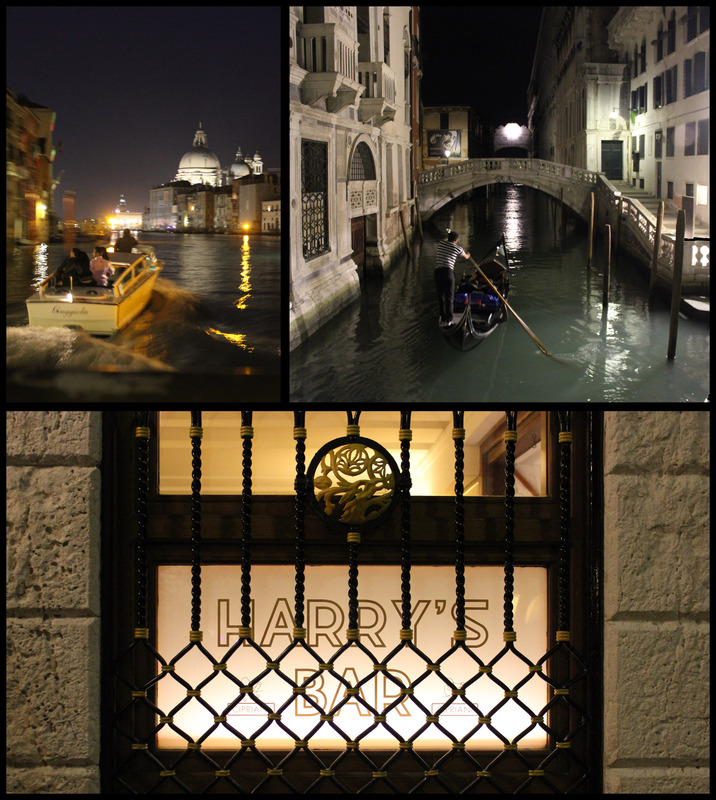 In the 1930s, Venice was a favorite destination of the cream of European society, and Harry’s Bar thrived under the hospitality of owner and barman Giuseppe Cipriani. It also didn’t hurt that its name attracted anglophiles, and was extremely — though coincidentally — similar to another world-famous bar of the time, the unconnected Harry’s New York Bar in Paris. But no matter: it had the staying power of quality, and was a favorite among rich locals and well-to-do tourists, then of visiting movie stars and other such celebrities. Once Hemingway chose it as his favorite spot in 1949, Harry’s officially became legendary. Which I guess is what makes it ok for them to charge €10 for eight ounces of Coca-Cola. Sometime in the late 30s, Cipriani was stuck with a glut of seasonal white peaches and no good way to store them. After what must’ve been a whisper from the muses, he whipped up a puree and added it to some prosecco, and the world’s greatest sparkling wine cocktail was born. His drink, popular though it was, went unnamed for almost a decade. It wasn’t until 1948 when Cipriani christened it the Bellini, after he saw the drink’s pink hue echoed in a painting by the homonymous Renaissance artist. When making a Bellini, everything (the glasses, Prosecco and white peach puree) should be as cold as possible. The general rule is to use one part white peach puree to three parts Prosecco. Use fresh frozen white peach puree when you can, but when making your own puree, never use a food processor because it aerates the fruit. (Maurice Graham Henry often uses a cheese shredder, shredding the peaches and using a strainer to collect the maximum amount of juice.) Add a bit of sugar or some simple syrup if the puree is too tart or a tad sour. Mix together in separate mixing tin or glass, stir with a spoon; then pour into flute, wine glass, or really whatever you’d like [coffee mug, dog bowl, etc.]. Serve without garnish. Though each 7oz glass cost $21 (seriously), this is without doubt the best Bellini I’ve ever had. I find Mimosas boring and best prefixed with “endless,” but a Bellini is a elegant, classic drink. Gary Regan calls it “perhaps the most sophisticated Italian drink,” and while I don’t agree at all (against the Negroni? Is he kidding? ), it is incredibly good. Bright, full, and harmonious. I sometimes find sparkling wine cocktails to be too thin and effervescent, but the 3:1 prosecco/puree mix hits perfectly. A note on ingredients: don’t use champagne, get the prosecco. It’s a bit sweeter, which helps, and besides — this is a very Italian drink. If you live in a submarine or something and can’t get prosecco, then use a sweeter champagne than brut, something sec or demi-sec. Oh, and never use yellow peaches. A pox on you if you use yellow peaches. They’re nowhere near as good.